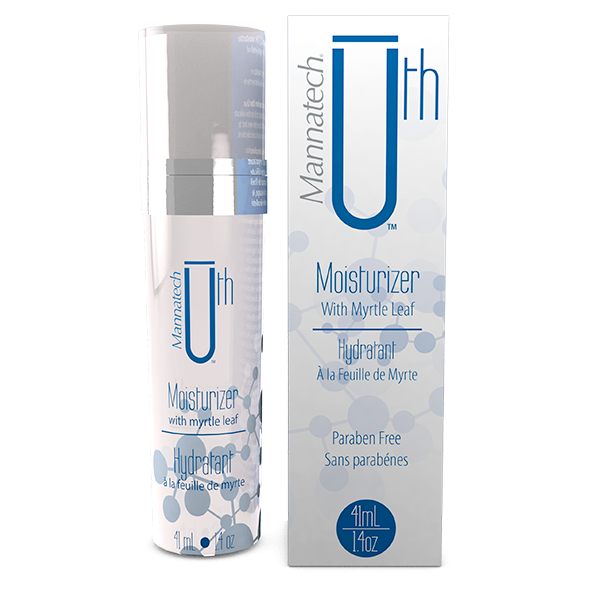 With the Uth Moisturizer from Mannatech you get the ultimate in hydration, nourish and smooth your skin. Formulated with sunflower seed oil for long-lasting moisturization and lavender extract , it also contains rich myrtle leaf extract, a botanical known to help reduce the appearance of fine lines and wrinkles. Give your skin the love it deserves every day. Provides all day hydration, improves skin texture and tone. Hypoallergenic and does not clog pores. Directions: After the Uth Skin Rejuvenation Crème is absorbed, apply Uth Moisturizer to the delicate area around the eye and to the face, neck and décolleté. Hypoallergenic. Non-comedogenic. Safe for use around the eyes. ŧResults and timing vary. It is recommended to use product for eight weeks for optimal results. Pure hydration. Pure refinement. Pure smoothness. Moisturize your way to a more radiant you. Moisturize once. Stay hydrated all day long. Allantoin is an organic compound used in cosmetics and personal care products as a skin conditioning agent 1. According to the Cosmetic Ingredients Review (an independent committee established by the Personal Care Products Council, an industry trade association that thoroughly reviews and assesses the safety of ingredients used in cosmetics), allantoin is safe to use in the amounts present in our products 2. 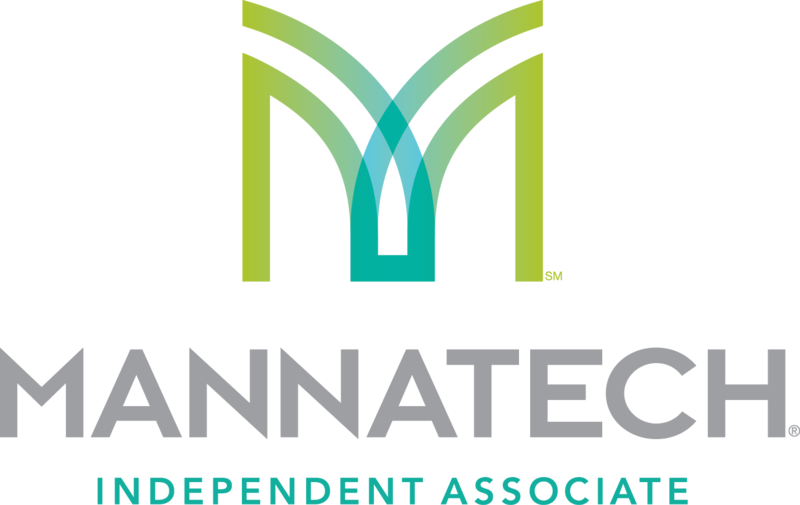 An ingredient exclusive to Mannatech, Manapol is obtained from fresh, washed and filtered gel by a specialized extraction method that yields insoluble fibers and stabilized, high MW soluble fibers rich in long-chain mannose sugars—beta-(1-4)-acetylated polymannans (acemannan)5. Mannose is an important glyconutrient sugar that supports cell-to-cell communication6. Aloe vera gel has a long history of use as a topical agent to soothe and hydrate the skin and enhance healing. Many attribute the benefits of topical and oral aloe vera gel to its acemannan content. 7. The acetylation (i.e., attachment of CHO groups) of acemannan appears to be crucial for solubility and its ability to induce fibroblast proliferation and stimulate fibroblasts to produce the dermal extracellular matrix protein collagen 7,8. Acemannan has also been shown to stimulate the production of growth factors involved in healing 9. The mechanism by which acemannan exerts these effects was recently shown to be via the AKT/mTOR signaling pathway 10. The MW of over 20% of Manapol is >800,000. Preliminary evidence suggests that superior immunologic benefits may be provided by higher MW aloe gel extracts that have a higher mannose content5,11. Aloe vera gel is also used in cosmetics and personal care products as a skin conditioning agent, which acts both to lubricate the skin surface and to increase water content of the top layers of the skin by drawing moisture from the surrounding air 12. According to the Cosmetic Ingredients Review (an independent committee established by the Personal Care Products Council, an industry trade association that thoroughly reviews and assesses the safety of ingredients used in cosmetics), Aloe barbadensis leaf extract is safe to use in the amounts present in our products 13. Caprylic/capric triglyceride is extracted from coconut oil and palm oil and is used in skin care and cosmetic products to stabilize mixtures, including oil-in-water mixtures 1. Caprylic/capric triglyceride may also be used as a skin conditioning agent that acts as a lubricant on the skin surface, which gives the skin a soft and smooth appearance 2. Medium chain triglycerides such as caprylic/capric triglyceride are listed in the U.S. Food and Drug Administration (FDA) Inactive Ingredients Guide as safe to use in the amounts present in our products 3. Caprylyl glycol is a chemical compound which is used as a skin conditioning agent in skin care products. It acts as a lubricant on the skin surface, which gives the skin a soft and smooth appearance 1. Cocos nucifera (coconut) oil is produced by pressing coconuts, which are the kernels of the seeds of the coconut palm. Coconut oil aids in dissolving and mixing skin care products, and is a skin conditioning agent that slows the loss of water from the skin by forming a barrier on the skin’s surface 1. According to the Cosmetic Ingredients Review (an independent committee established by the Personal Care Products Council, an industry trade association that thoroughly reviews and assesses the safety of ingredients used in cosmetics), coconut oil is safe to use in the amounts present in our products 2. Corylus avellana (hazel) seed extract is an extract obtained from the nuts of the hazelnut tree, Corylus avellana. It functions as a skin-conditioning agent in cosmetics and personal care products 1. Botanical and botanically derived ingredients used in skin care products are generally mild and safe. Cyclomethicone is an organic compound used in cosmetics and personal care products to aid in the dissolving of ingredients and as a skin-conditioning agent that acts as a lubricant on the skin’s surface, giving the skin a soft and smooth appearance 1. According to the Cosmetic Ingredient Review (an independent committee established by the Personal Care Products Council, an industry trade association that thoroughly reviews and assesses the safety of ingredients used in cosmetics), cyclomethicone is safe to use at the amounts present in our products 2. Cyclopentasiloxane is an organic compound used to aid in the dissolving of ingredients in skin care products and as a skin-conditioning agent that acts as a lubricant on the skin’s surface, giving the skin a soft and smooth appearance 1. Ethyl macadamiate is an organic compound obtained from the oil expressed from the seeds of the macadamia tree, Macadamia ternifolia. It is used in cosmetics and personal care products as a as a skin-conditioning agent that acts as a lubricant on the skin’s surface, giving the skin a soft and smooth appearance 1. Botanical and botanically derived ingredients used in skin care products are generally mild and safe. Ethylhexylglycerin (also named octoxyglycerin) is an organic compound used in cosmetics and personal care products as a skin conditioning agent 1. Galactoarabinan, or arabinogalactan,is a polysaccharide extracted for commercial uses from the bark of the Eastern and Western Larch trees, Larix larcinia and Larix occidentalis. Monosaccharide constituents include galactose, arabinose, glucose and mannose 1. It is used in skin care products as a fragrance and as an ingredient that dries to form a thin coating on the skin 2. Glycerin is a chemical compound used in skin care products and cosmetics as a humectant, that is, a skin conditioning agent that increases water content of the top layers of the skin by drawing moisture from the surrounding air. Glycerin also acts as a lubricant on the skin surface, which gives the skin a soft and smooth appearance 1. It is included in the U.S. Food and Drug Administration (FDA) Inactive Ingredients Guide as safe to use in the amounts present in our products 2. Helianthus annuus (sunflower) seed oil is the oil expressed from the seeds of the common sunflower. Sunflower oil is used in cosmetics and personal care products as a skin conditioning agent that slows the loss of water from the skin by forming a barrier on the skin’s surface 1. Sunflower oil is generally regarded as relatively nontoxic and nonirritating when used in cosmetics and personal care products 2. Helianthus annuus (sunflower) seed oil unsaponifiables is obtained from the oil expressed from the seeds of the sunflower, Helianthus annuus. It is used as a skin-conditioning agent in cosmetics and personal care products 1. Botanical and botanically derived ingredients used in the formulation of cosmetics are generally mild and safe. Hydrolyzed Myrtus communis leaf extract (myrtle leaf) is a modified extract from the leaves of the common myrtle tree, Myrtus communis. It functions as a skin protectant in cosmetics and personal care products 1. Botanical and botanically derived ingredients used in the formulation of cosmetics are generally mild and safe. Lavandula angustifolia (lavender) flower/leaf/stem extract is an extract of the flowers, leaves and stems of the lavender plant, Lavandula angustifolia. In cosmetics and personal care products, it is used for fragrance and as a skin-conditioning agent that slows the loss of water from the skin by forming a barrier on the skin’s surface 1. Botanical and botanically derived ingredients used in the formulation of cosmetics are generally mild and safe. Methylsilanol mannuronate is an organic compound derived from seaweed. It is used in cosmetics and personal care products as a skin-conditioning agent 1. Botanical and botanically derived ingredients used in the formulation of cosmetics are generally mild and safe. Montmorillonite is a mineral-rich clay used to stabilize the mixing of ingredients and to improve the appearance, thickness and consistency of skin care products 1. 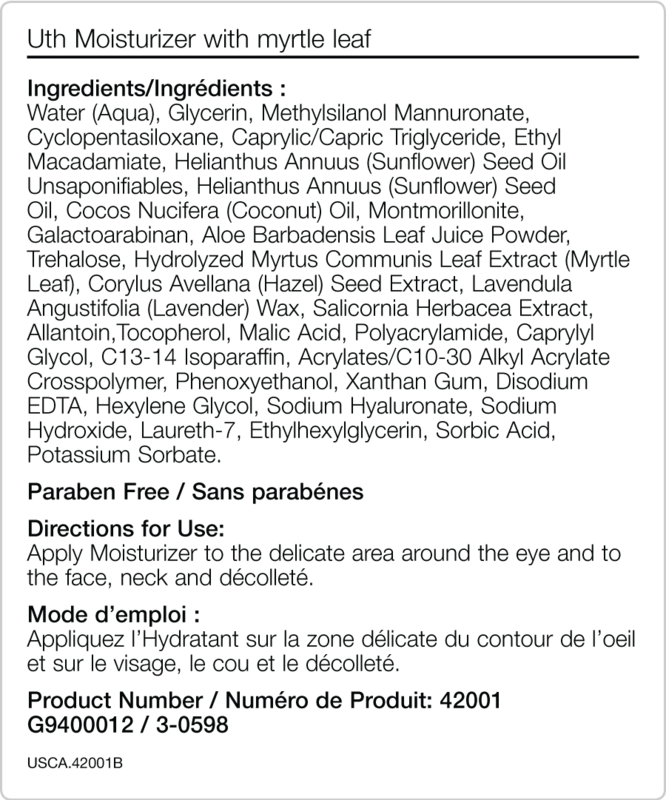 According to the Cosmetic Ingredient Review (an independent committee established by the Personal Care Products Council, an industry trade association that thoroughly reviews and assesses the safety of ingredients used in cosmetics), montmorillonite is safe to use at the amounts present in our products 2. Salicornia herbacea extract is an extract of the glasswort plant, Salicornia herbacea. It functions as a skin-conditioning agent in cosmetics and personal care products 1. Botanical and botanically derived ingredients used in the formulation of cosmetics are generally mild and safe. Sodium hyaluronate is an organic compound used as a skin conditioning agent 1. It is generally regarded as a relatively nontoxic and nonirritant material 2. Sorbic acid is an organic acid used for fragrance and to preserve the quality of cosmetics and personal care products 1. According to the Cosmetic Ingredient Review (an independent committee established by the Personal Care Products Council, an industry trade association that thoroughly reviews and assesses the safety of ingredients used in cosmetics), sorbic acid is safe to use at the amounts present in our products 2. Tocopherols, along with tocotrienols, are organic compounds collectively known as vitamin E. Natural tocopherols exist as a mixture of d-alpha-, d-beta-, d-gamma- and d-delta-isoforms, each having antioxidant activities 1. Tocopherols are present in many foods, such as vegetable oils, nuts and grains. They are considered generally recognized as safe (GRAS) by the U.S. Food and Drug Administration (FDA) for use in foods (21CFR182.3890) 2. In cosmetics and personal care products, tocopherol is used as a skin conditioning agent that slows the loss of water from the skin by forming a barrier on the skin’s surface 3. According to the Cosmetic Ingredients Review (an independent committee established by the Personal Care Products Council, an industry trade association that thoroughly reviews and assesses the safety of ingredients used in cosmetics), tocopherol is safe to use in the amounts present in our products 4. Trehalose is a disaccharide prepared from liquefied starch. Its monosaccharide constituent is glucose. It is used in cosmetics and personal care products as a skin conditioning agent that increases water content of the top layers of the skin by drawing moisture from the surrounding air 1. Acrylates/C10-30 alkyl acrylate crosspolymer is an organic compound used to stabilize the mixing of ingredients and to increase the thickness of cosmetics and personal care products 1. C13-14 isoparaffin is a mixture of organic compounds that aids in the dissolving and mixing of ingredients in cosmetics and personal care products 1. Disodium EDTA, a salt of the chelating agent ethylenediaminetetraacetic acid (EDTA), binds to and inactivates metal ions to prevent the deterioration of cosmetics and personal care products 1. According to the Cosmetic Ingredients Review (an independent committee established by the Personal Care Products Council, an industry trade association that thoroughly reviews and assesses the safety of ingredients used in cosmetics), disodium EDTA is safe to use in the amounts present in our products 2. Hexylene glycol is an organic compound used for fragrance, to aid in the dissolving of ingredients and to decrease the thickness of skin care products 1. According to the Cosmetic Ingredient Review (an independent committee established by the Personal Care Products Council, an industry trade association that thoroughly reviews and assesses the safety of ingredients used in cosmetics), hexylene glycol is safe to use at the amounts present in our products 2. Laureth-7 is an organic compound that aids in the mixing of ingredients in skin care products 1. Malic acid is an is an organic compound used as a flavoring agent in foods and pharmaceutical formulations to provide tartness and mask any bitter taste 1. It is approved by the U.S. Food and Drug Administration (FDA) for use as a food additive 2. Malic acid can also be used in skin care products for fragrance and to adjust the pH (the acidity or alkalinity) 3. According to the Cosmetic Ingredient Review (an independent committee established by the Personal Care Products Council, an industry trade association that thoroughly reviews and assesses the safety of ingredients used in cosmetics), malic acid is safe to use at the amounts present in our products 4. Phenoxyethanol is an organic compound used for fragrance and to preserve the quality of cosmetics and personal care products 1. According to the Cosmetic Ingredient Review (an independent committee established by the Personal Care Products Council, an industry trade association that thoroughly reviews and assesses the safety of ingredients used in cosmetics), phenoxyethanol is safe to use at the amounts present in our products 2. Polyacrylamide is an organic compound used as a film former and to improve the consistency of cosmetics and personal care products 1. According to the Cosmetic Ingredient Review (an independent committee established by the Personal Care Products Council, an industry trade association that thoroughly reviews and assesses the safety of ingredients used in cosmetics), polyacrylamide is safe to use at the amounts present in our products 2. Potassium sorbate is an organic salt that is used for fragrance and to preserve the quality of skin care products 1. According to the Cosmetic Ingredient Review (an independent committee established by the Personal Care Products Council, an industry trade association that thoroughly reviews and assesses the safety of ingredients used in cosmetics), potassium sorbate is safe to use at the amounts present in our products 2. Sodium hydroxide is an inorganic compound that is used to adjust the pH of a wide variety of topical products for skin and hair1. Xanthan gum is a polysaccharide produced from the fermentation of plant carbohydrates by the bacterium Xanthomonas campestris. Monosaccharide constituents include glucose and mannose 1. It is commonly added to foods, where it serves as a stabilizing agent and a thickener 2. Xanthan gum is approved by the U.S. Food and Drug Administration (FDA) for use as a food additive (21CFR172.695) 3. Xanthan gum is also used as a skin conditioning agent, to stabilize oil-in-water mixtures and to thicken the texture of cosmetics and personal care products 4. Give your skin the love it deserves every day.